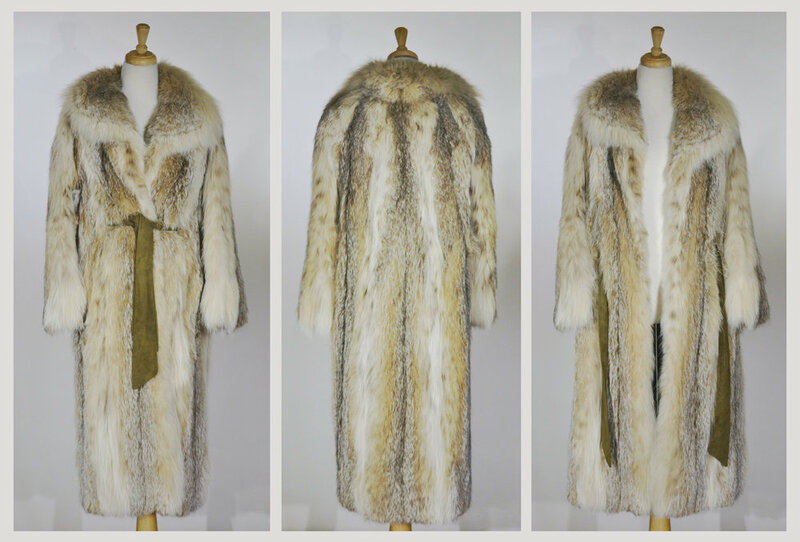 Please scroll down for images of the Super Sly 1970s Fox Fur Coat shown in greater detail. Material: Fox fur, rayon (lining), suede (belt), metal and plastic (clasp). Colors: Various shades of brown. Closure: Single metal clasp with plastic ring, as well as a suede belt to tie. Label: No label, but the fur did originally belong to one Diane Kowalski. This full length fox fur coat is INCREDIBLY soft and warm, perfect for any cold weather climate! The coat features two outside pockets to keep your hands as warm as your snuggled body will be. There is one very minor issue on the left arm of the coat, near the medial side of the wrist, where the fur seems to have an *open* patch. 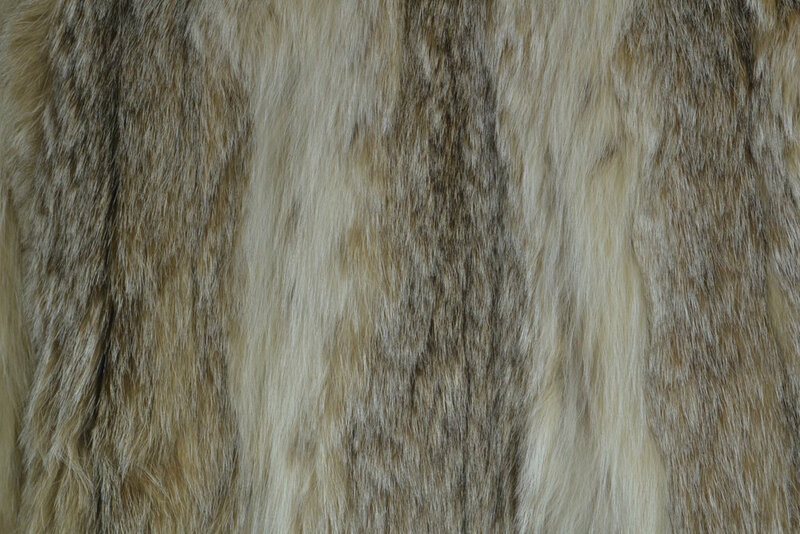 You can see it most clearly when moving away all the fur from the spot, but the fur can easily be moved back over the area; please see the photo below for a closer look. While I would never trade the lives of these foxes for the coat that you see, I believe that if one wants fur - the warmest winter outerwear by far - buying vintage is unquestionably the best way to go. Inside lining, name stitching, and clasp detail. Minor *open* patch issue, noted above.